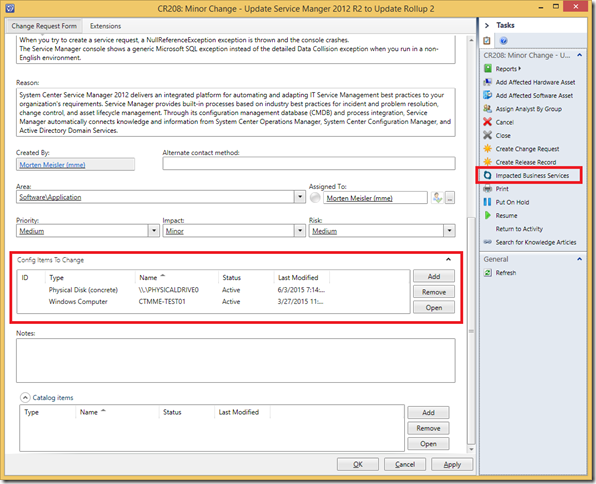 Often you want to quickly determine which Business Service(s) is affected/impacted from a Change Request when making a certain change to a Configuration Item, e.g. a database, computer, network component etc. There is no quick way to achieve this today without opening each Business Service and going through the components to check if your config item is on the list, and when it comes to SCOM Distributed Applications there is no guarantee that it will be shown at all! (though it can be found “behind the scenes”). 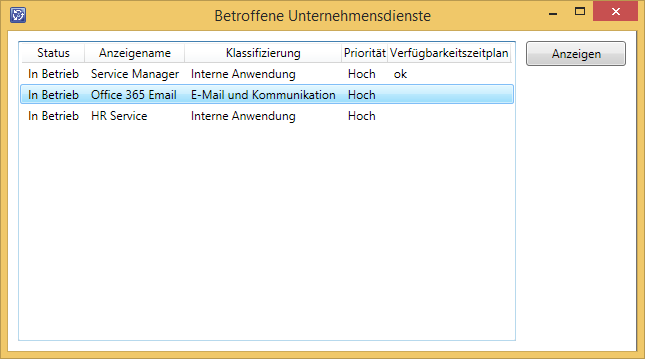 It handles SCOM Distributed Applications better by checking the fullname of the component for the config item. Why? 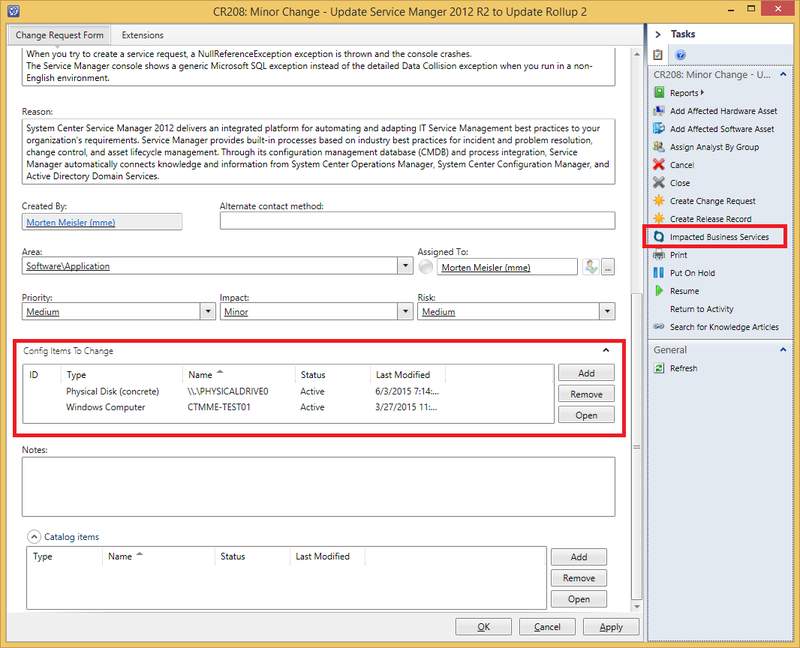 A Distributed Application in SCOM can be comprised of separate cluster objects and groups. The groups can then have their own rollup monitors that depends on the health of CI objects, so for monitoring purposes the Distributed Application works fine, but since the DA doesn’t contain the actual computer instances (only the groups), the computer CI’s are not being populated to SCSM (and thereby not showing in the Business Service component list in SCSM). However, the information of the CI will still be published to the fullname property of the cluster objects. Works for Change Request, Service Request and Incident. As usual the solution is provided “as-is” with no promises to work perfect in all environments. Import Coretech.ImpactedBusinesService.mpb and Coretech.ImpactedBusinesService.configuration.xml from the zip-file. 3 new console task will show up for Change Request, Service Request and Incident which can be made visible for the users you want via User Roles. Does this work in SCSM 2016?